According to a Greek prosecutor, the US embassy in Athens was apparently behind the wiretapping of former prime minister Costas Karamanlis as well as other officials in the period 2004 – 2005. In today’s edition of “Kathimerini on Sunday” it was revealed that four of a total of fourteen mobile phones used by the former prime minister and his associates, were purchased in the name of the US embassy. Apart from the former prime minister, the commander of the Greek Secret Services (EYP), the head of the Greek police, several ministers and dozens of civilians were also apparently victims of the wire-tapping. The illegal software was according to reports installed on the Vodafone Greece network so that calls could be relayed to another number for recording. This incredible revelation in Kathimerini also made many Greek reports on Sunday surface the mysterious suicide of Kostas Tsalikidis, the head of Vodafone's Greece network design department at that time who was a key witness. His body was according to reports found only two days after Vodafone Greece had identified and removed the eavesdropping software. The Greek wiretapping case of 2004-2005, also referred to as the Greek Watergate, involved the illegal tapping of more than 100 mobile phones on the Vodafone Greece network belonging mostly to members of the Greek government and top-ranking civil servants. The taps began sometime near the beginning of August 2004 and were removed in March 2005 without discovering the identity of the perpetrators. Foreign and Greek media at the time raised United States intelligence agencies as the main suspects. AFP reported that one Greek official stated on background that the likely initial penetration occurred during the run-up to the 2004 Athens Olympics, stating: "it is evident that the wiretaps were organized by foreign intelligence agencies, for security reasons related to the 2004 Olympic Games." The then leader of the PASOK socialist party, and present Prime Minister George Papandreou had said that the Greek government itself had pointed towards the US as responsible of the wiretaps by giving up the zone of listening range, in which the US embassy was included. However, the identity of the perpetrators was never conclusively established, in large part due to the botched manner in which the investigation was handled, initially by Vodafone and then by the Greek authorities. The Ericsson switches used by Vodafone Greece were compromised and unauthorized software was installed that made use of legitimate tapping modules, known as “lawful interception”, while bypassing the normal monitoring and logging that would take place when a legal tap is set up. This software was eventually found to be installed on 4 of Vodafone's Ericsson AXE telephone exchanges. On January 24, 2005, an intruder update of exchange software resulted in customer text messages not being sent. Vodafone Greece sent firmware dumps of the affected exchanges to Ericsson for analysis. On March 4, 2005, Ericsson located the rogue code, 6500 lines of code written in the PLEX programming language used by Ericsson AXE switches. Writing such sophisticated code in a very esoteric language required a high level of expertise. Much of Ericsson's software development for AXE had been done by an Athens-based company named Intracom Telecom, so the skills needed to write the rogue software were likely available within Greece. On March 7, 2005, Ericsson notified Vodafone of the existence of rogue wiretaps and software in their systems. The next day the general manager of the Greek Vodafone branch, George Koronias, asked for the software to be removed and deactivated. Because the rogue software was removed before law enforcement had an opportunity to investigate, the perpetrators were likely alerted that their software had been found and had ample opportunity to turn off the "shadow" phones to avoid detection. According to the head of Greece's intelligence service, Ioannis Korantis: "From the moment that the software was shut down, the string broke that could have lead [sic] us to who was behind this." On March 9, the Network Planning Manager for Vodafone - Greece, Kostas Tsalikidis, was found dead in an apparent suicide. According to several experts questioned by the Greek press, Tsalikidis was a key witness in the investigation of responsibility of the wiretaps. Family and friends believe there are strong indications he was the person who first discovered that highly sophisticated software had been secretly inserted into the Vodafone network. Tsalikidis had been planning for a while to quit his Vodafone job but told his fiancée not long before he died that it had become "a matter of life or death" that he leave, says the family's lawyer, Themis Sofos. There is speculation that either he committed suicide because of his involvement in the tapping of the phones, or he was murdered because he had discovered, or was about to discover, who the perpetrators were. After a four-month investigation of his death, Supreme Court prosecutor Dimitris Linos said that the death of Tsalikidis was directly linked to the scandal. "If there had not been the phone tapping, there would not have been a suicide," he said. In November, 2007, press reports in Greece quoted the Tsalikas family attorney, Themistokles Sofos, as saying they had commenced legal action against Vodafone, "suspect[ing] he was poisoned". 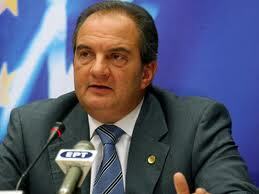 On March 10 Koronias asked to meet Prime Minister Karamanlis to discuss matters of national security. At 20:00 on the same day he presented the facts to the Minister of Public Order and the Prime Minister's chief of staff, and on the next day he presented them to the Prime Minister. A preliminary judicial investigation was carried out, which due to the complexity of the case, lasted until February 1, 2006. The preliminary investigation did not point out any persons connected with the case. The investigation was hindered by the fact that Vodafone disabled the interception system, and therefore locating the intercepting phones was no longer possible (the phones were apparently switched off), and that Vodafone had incorrectly purged all access logs. Police rounded up and questioned as suspects persons who called the monitoring phones, but all callers claimed they called these phones because their number was previously used by another person. Ericsson has checked their equipment in other markets world-wide and has not found the illegal software installed anywhere else. "As far as Ericsson knows, this is a unique incident. We have never discovered anything like this before or since." Vodafone spokesman Ben Padovan said. So according to today’s news, the US embassy was monitoring Karamanlis and other Greek citizens, but who then murdered Bob Tsalikidis? Here is a timeline as documented on Wikipedia from the press reports at the time. March 4, 2005 Vodafone discovers (as per company statements) foreign “interception” software in its network. Vodafone Greece doesn’t formally take the position that Ericsson installed before the Olympic games a “legal interception” software, which was subsequently locked and shut down. March 5, 2005 - Vodafone decides to remove the foreign interception software without finding the culprits of the wire tapping. Thus, according to many experts the culprits can no longer be traced. Mr. Koronias, CEO of Vodafone Greece, claimed before the Parliamentary Committee on Transparency that no one had asked him to reactivate the illegal software in order to trace the phones that intercepted the conversations in question. The company claims that they have back up copies of the deleted data and that they committed no illegal act within the boundaries of the Act for the Protection of the Privacy of Telecommunications. March 9, 2005 - Costantinos Tsalikidis, Network Planning Supervisor for Vodafone and top level manager for the company, is found hanged in his apartment. He never left a (suicide) note nor any indication that he was suffering from any personal problems. No autopsy was conducted in situ, and the forensic report was inconclusive. The circumstances around the death of Tsalikidis, were pronounced a year later as questionable and directly connected to his professional position at Vodafone, and the Athens Prosecutor re-opened the case. Vodafone Greece never sent a condolence telegraph to the deceased’s family, regardless of the fact that Mr. Tsalikidis worked at Vodafone for over a decade. March 10, 2005 - The CEO of Vodafone Greece, Mr. Koronias, briefs the Prime Minister of Greece in the presence of a Prosecutor about the wire tapping. Among the phones that were tapped was that of the Prime Minister as well as all the ministers of the current government, Members of the Parliamentary Opposition, as well as other non-parliamentary officials. He also mentions the «suicide» without however, connecting it to the wire tapping incident. The following year however, in the context of the legal proceedings that began on February 8, 2006, Mr. Koronias claimed that he had the complete approval of the government, especially the Prime Minister himself, for his actions. The matter was deemed one of top national security and top secret by the government. The question at hand is why the Greek Authority for the Assurance of Information and Communication Privacy was not informed and why regular legal procedures were not followed before deactivating the software. March 11, 2005 - The Prosecutor for the Supreme Court, Mr. Linos gives a direct order for an urgent and secret preliminary investigation to the Head Prosecutor in person. In this order there is no written mention of the suicide. The question at hand concerns what are the findings of this 11-month investigation that has been conducted since 11 March 2005 until today and why the entire case seems to be re-examined from scratch. June 11, 2005 - The local police precinct that investigated the death of Tsalikidis, closes the case on the suicide and sends the files to the Prosecutor’s office. According to the police, no evidence of a break-in was found, therefore, they did not see the need to conduct an autopsy nor to take fingerprints. Vodafone Greece did not hand over any personal effects of Tsalikidis nor any data from his personal computer to his family or to the authorities, which would have greatly assisted in any investigation by the local precinct. January 30, 2006 - The Head Prosecutor, Mr. Papagelopoulos, claims to have been informed about the suicide case from the Major General, who mentioned the suicide outside of the court proceedings. A year later Vodafone Greece remained silent on the type of internal investigation that took place, on whether suspects were located and what type of sanctions were imposed on them relating to what is possibly the biggest political scandal in the modern history of Greece. February 1, 2006 - The preliminary investigation conducted by Mr. Papangelopoulos regarding the wire tapping is concluded with the closing statement that he was awaiting evidence from the State authorities. February 2, 2006 - Criminal charges are filed against unknown perpetrators for wire tapping. On the same day, three ministers make statements to the press where they congratulate Mr. Koronias for his stance to erase the software program. The next day the press characterizes the handling of this case as a huge political and communication blunder. February 3, 2006 - The press widely believes that the wire tapping case is related to the suicide of Tsalikidis. This is first page news in all the press and mass media of the country for the next two weeks. Countless news programs are assuming that the suicide of Tsalikidis may not have been a suicide. February 8, 2006 - The investigation of Tsalikidis’ death is handed over to the highly experienced Prosecutor, Mr. Diotis. For the first time in a year since the death of Tsalikidis an investigation of his apartment is conducted. The results have not been made public yet. March 9, 2006 - The day of the anniversary of Tsalikidis’ death, Mr. Koronias is cross-examined by the Parliamentary Committee on Institutions and Transparency. He stated that he did not order or receive the «lawful interception» software program. He also said that as the producer of the software, Ericsson was responsible since they had fully trained personnel on the functioning of the software program. Mr. Koronias stated that Vodafone has a very technologically elaborate security system and that it was because of his diligence that the incident was considered to be of «national security.» Parliament also suppoenaed the head of Ericsson to appear in a future hearing. With regard to the death of Tsalikidis, Mr. Koronias said that he mentioned the «suicide» to the ministers that he met with in March 2005 and that Vodafone was assisting authorities in any way possible with their investigation. The question here is whether an internal investigation file exists on Tsalikidis, and if so why the family members have never been informed of its findings.